I am super excited about this cake as it’s my first event / challenge since I have joined ‘Bundt Bakers’ that I get to share with you all! 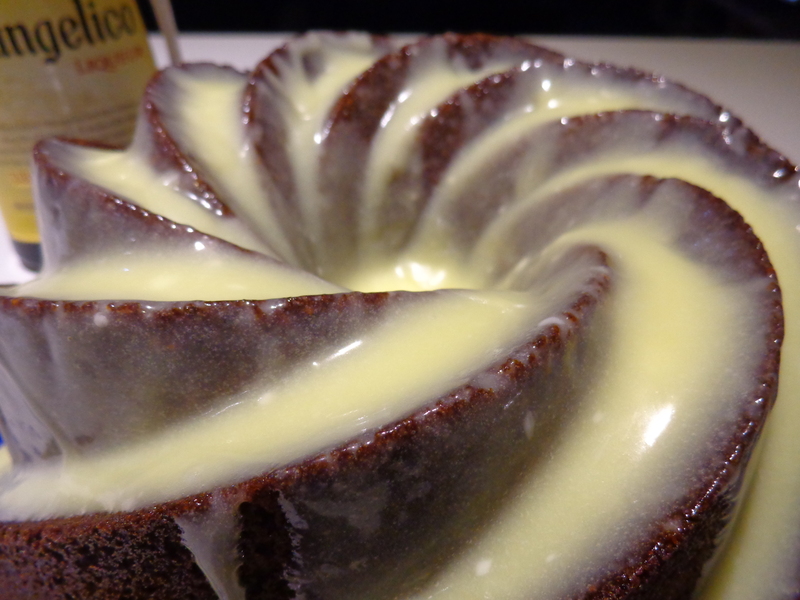 Since joining I have been obsessing over what type of bundt cake I should make given this month’s theme of ‘Boozy Bundt Cakes’. After much deliberation and going back and forth I decided to use Frangelico and Fig and this is the outcome. The figs are simmered with Frangelico, vanilla bean and cinnamon to produce a wonderfully delicate infused cake batter than in turn bakes into a lovely and moist with a slightly chewy crust. The addition of more Frangelico in the glaze gives it that lovely kick without becoming overpowering. This is an absolute keeper of a receipe! A big shout out to my new Bundt Baking friends and especially to Lauren Mitchell for hosting this month’s event.